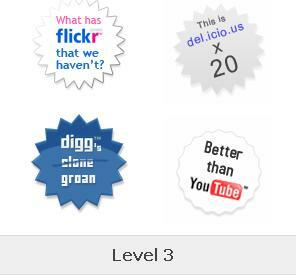 Marco Rosella has created a hilarious bunch of Web 2.0 exit strategy badges in preparation for the upcoming Web 2.0 Conference. They range from Level 1 to Level 4 and with each level comes an increase in desperation. One Level 4 says, "Sergey, I know where you live".